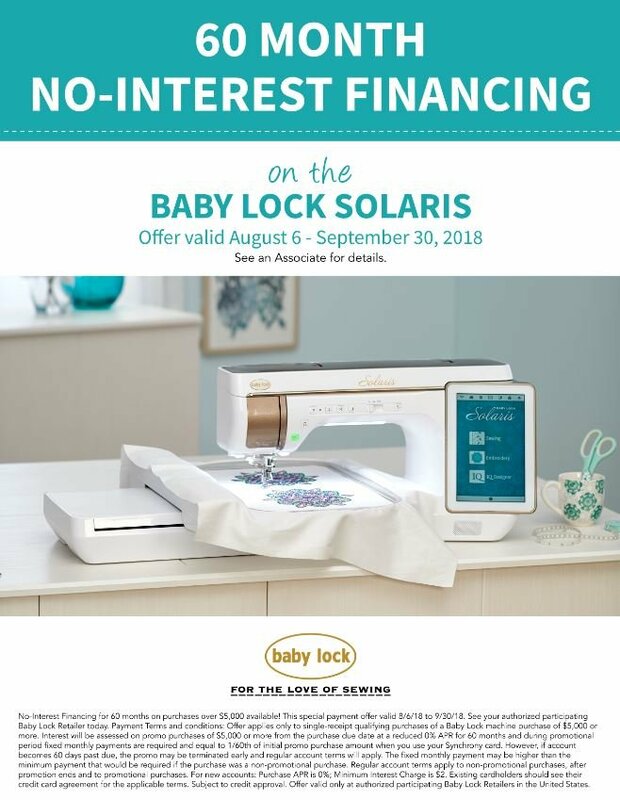 We have great deals on the NEW BABY LOCK SOLARIS! 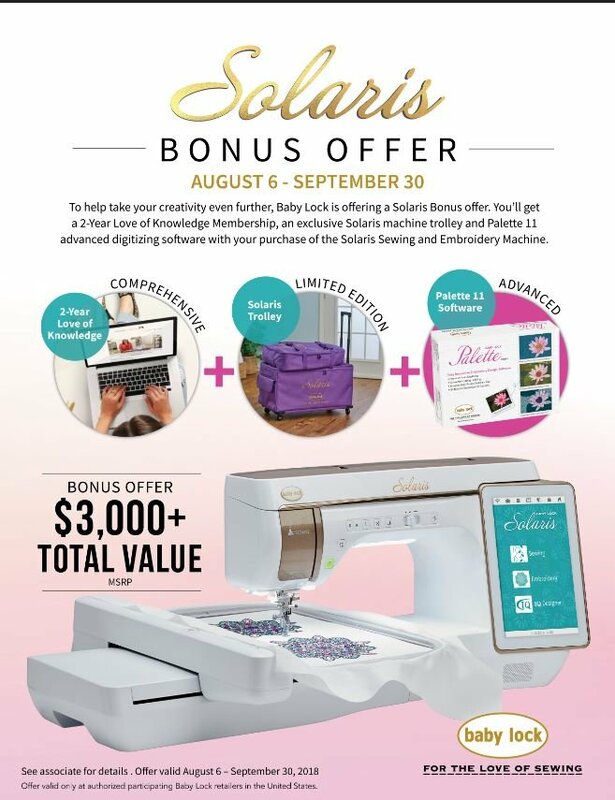 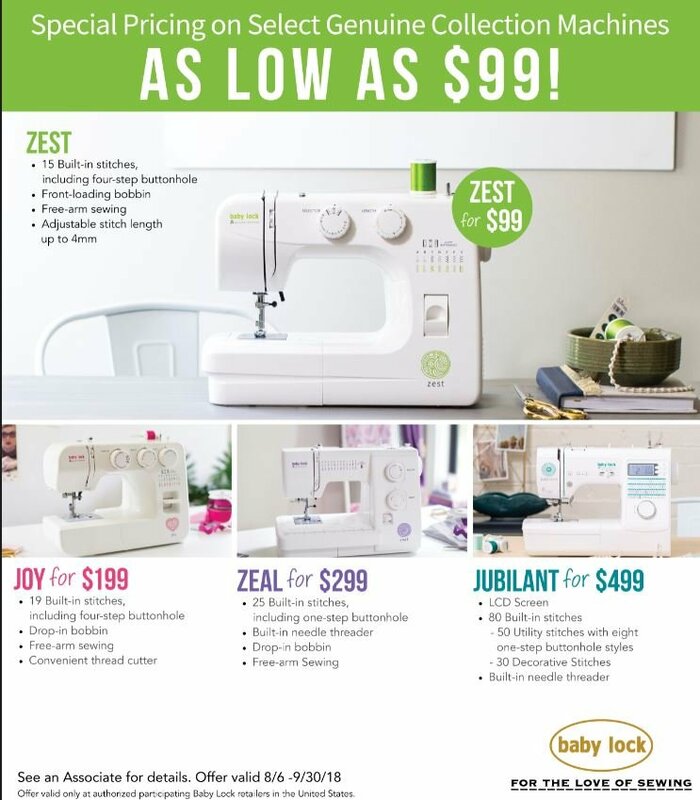 AND, we offer 10% off fabric and notions for 1 year when you buy a machine from us! 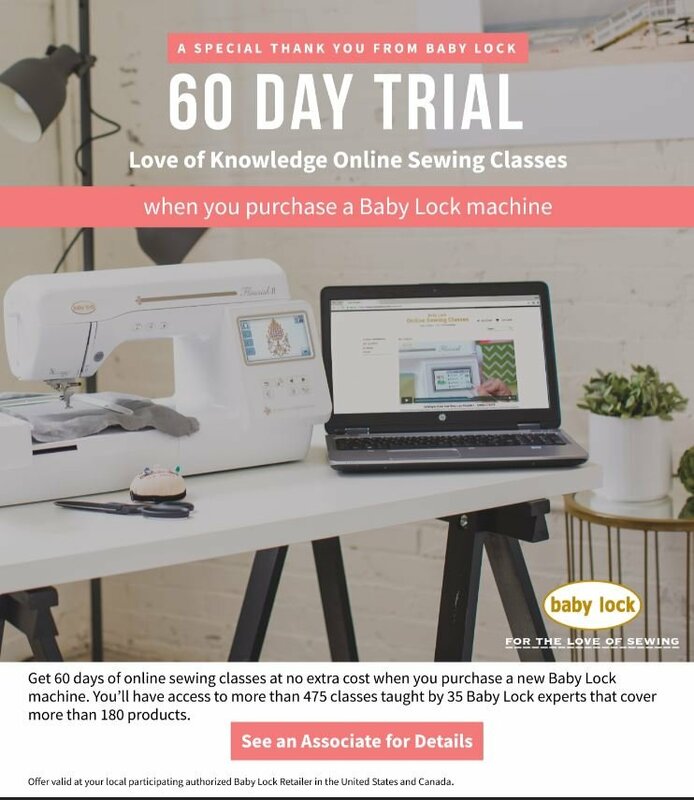 New Introductory Machines on sale now!